If you haven't been battered with snow yet, consider yourself lucky! The snow hasn't been cleared yet and we are expecting yet more snow this week! I'm a Mass Transit Commuter and take an Express Bus in and out of the City each day, which means standing at a bus shelter in all kinds of weather including winter winds. Then the heating indoors finishes totally drying out my skin. It's definitely NOT a pretty picture! Keeping my skin hydrated is not always so easy! My skin ends up very dry in winter whether I'm indoors or outdoors. During the day I'll re-apply lotion after washing my hands, but I like using something a bit thicker at night. Especially on hands, elbows, knees and feet. With feet I like to put on something really hydrating and then put on sleep socks so it can really penetrate, and one of the products I am using right now is one I thought I should put on your radar. 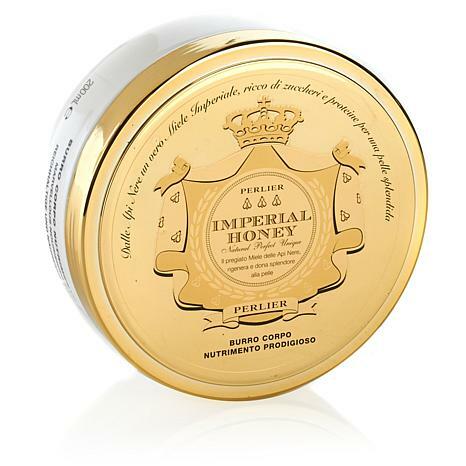 Ƹ̵̡Ӝ̵̨̄Ʒ - Honey is one of the foundations of the Perlier line and this product has been re-formulated to improve hydration! So Butterfly, what is your go-to skin hydrator for winter?